It is a single lane road, not enough to fit 3 vehicles at a time. It used take me 7 hours to travel from Hyderabad to Vijayawada. Highest accident ever occurred in the country. One of the busiest, mostly filled with trucks. Worst road condition, filled with unlimited potholes. Some overtakes used to take me at least 15 minutes, Imagine 10 trucks trailing each other with no space between them, on a single lane! But I used to enjoy the drive, it is challenging and fun. Now it has a 4-lane road, truck lay by lanes, emergency lanes and bridges across villages. It is taking me 4 hours from Hyderabad to Vijayawada. I am saving 3 hours. Many good hotels available, no issues with washrooms. Toll road, with road assistance and standby ambulance for safety. Continues patrol across the highway, last year a huge industrial truck was stuck on highway while taking u-turn. Patrol guys arrived within 15 minutes and took the situation under control. Hotel 7 is my favourite. Now a days I can see many coffee day outlets on the highway. Fast-Tag is available between Hyderabad to Vijayawada. If you don't want to wait in those long ques. Official speed limit of the highway is 80 kilometers per hour. 100 km/hr could have been more realistic. New speed limiters around Nalgonda. WhatsApp forward. Some times, visibility is so poor. My recent experience with speed guns around Suryapet. Idiots deployed two interceptors near 40km/hr boards. I felt it is waste arguing with them, paid 200/- and left. Don't forget about Sankranthi chaos. It is worst at toll booths. Cutting lanes and becoming impatient. Tailgating at 100+ speeds, what not!! On long weekends try to start as early as possible to avoid toll waiting. 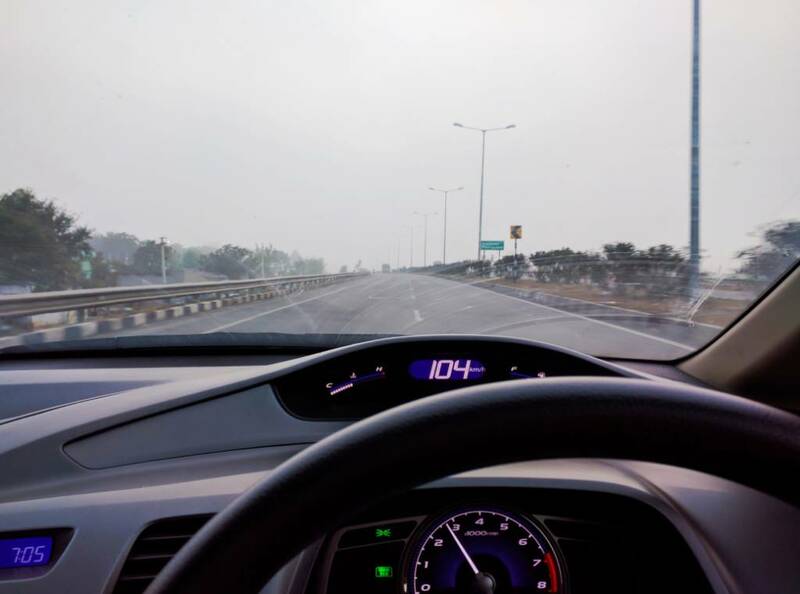 It is going to be another Bangalore-mysure highway soon. Worst road manners and traffic. Even I commute from Hyderabad to Vijayawada twice a month. This journey is the biggest stress relief for me. I personally feel the most dangerous part in the entire journey is Nandigama stretch where villagers show too much attitude towards vehicles passing on highway. It would be great if GMR can come up with a fly-over to avoid this village, but I think it is practically not possible. Awesome report guys, I accept with the fact about nandigama, gets really dangerous when we enter onto a village from high speeding highway..
40km/hr zone is a disaster. Hotel 7 is our breakfast stop every month while traveling to my hometown!! Good quality food and apt service. Roads are really good that we could reach Vijayawada in just 4hrs!! Guys Please start off early especially during festival time!! You will reach 2hrs late if you are lazy enough to start early in the morning!! Exactly, we need to start early to enjoy a traffic free pleasant drive. I prefer fuelling up at HP petrol pump once we get down from ORR, there are few Reliance petrol pumps on the way, did anybody try them? Do they sell petrol(or only Diesel)? What is the quality of the fuel(I heard it is superior to normal pumps)? Any price difference? Price is some times less/more than market price. Margin is under 2/-, it is worth the service. They have best washroom. Most of the times, I travel with family(kids), I don't need to worry about washrooms. Try it out next time, I think they are back in business. That's good to hear @driveking next time I am going there to fuel up! I used to love the old Vijayawada highway, it used to be single lane, drive was challenging. Now it is boring to drive. Safety, drive time and hotels improved a lot. Never expect a 4-lane road can bring so much development. I have seen speed cameras as in pic shown on my recent trip. Realistic limit should have been 100kmph. Yet to see speed guns. Another update on fuel, filled in for 60.66/ litre diesel in the last week of March in Reliance. 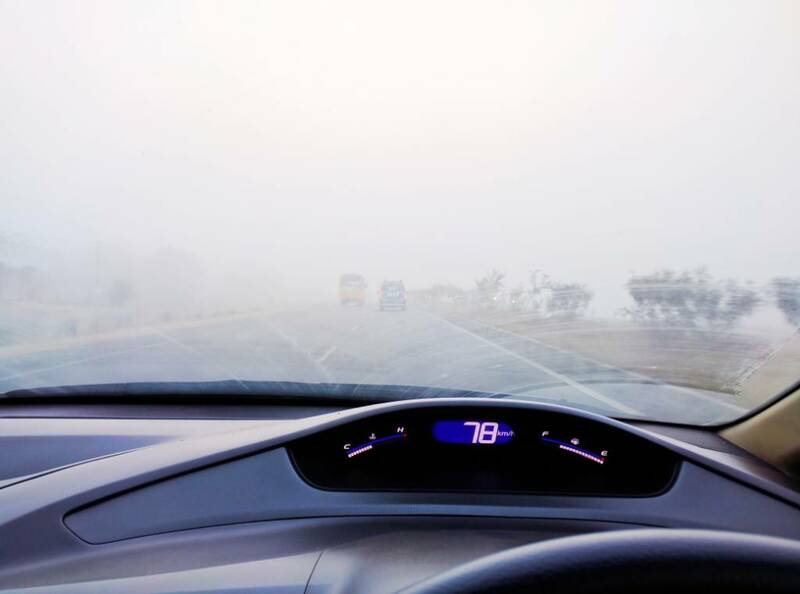 Realistic limit should have been 100kmph. 90% of cars are doing above 100, they make a quick buck. I got caught twice, they are around Suryapet. I am doing around 110 km/hr in 80 km/hr zone. According to them 80kmph is the highest limit from Hyderabad to Vijayawada. Thanks this info is helpful. Gave challan? 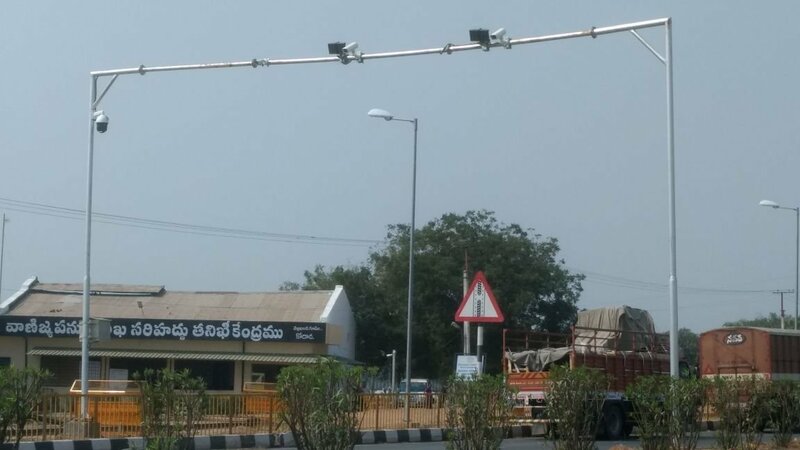 Speed cameras are installed near all the toll booths between Hyderabad and Vijayawada. I found around 6 cameras. Speed limit is 80 km/hr. There is a mobile court, so if you cross 80km/hr. They will type the car number online, it will fetch both car speed and picture. Does this mean they are tracking the distance and time to cover between tollbooths N levy this?? I recently went on that road and I'm sure I would have crossed the speed limits. How do I check if I've got any speed tickets? No they have installed these cameras near toll booths. So if you cross the speed limit, your vehicle and speed details are logged (cloud) in with images. They have mobile a court, they will stop your car and will punch your vehicle number to check the speed. They have records of all your drives. Even if you did not get caught for the first time. You can be charged during your next drive. Even I am not sure about it. Need to do some research about it. 80 km/hr is too slow, 100 km/hr would have been good.